The article featured as the Cover Story of the weekly US Magazine of "The News". 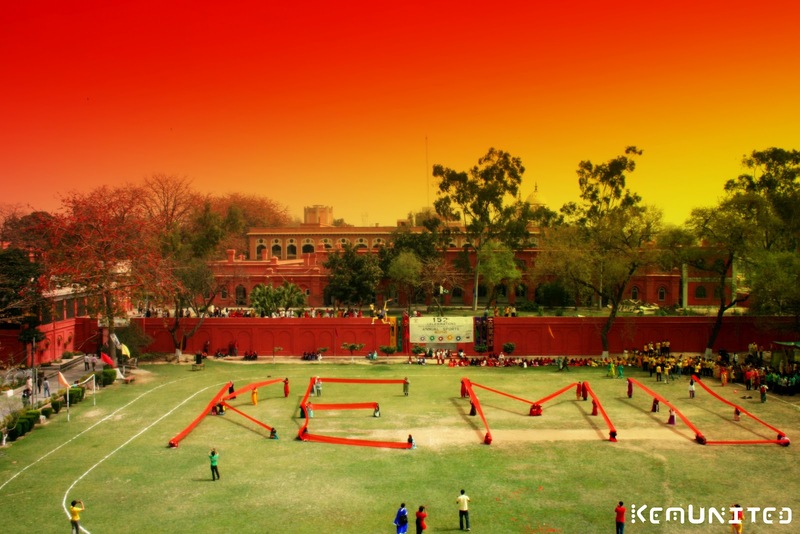 Finally, it’s that time of the year again; you come back from your last FSc. exam, euphoric at the prospect of seeing your long forgotten love again, the holy bed. You rush into your room, kick off your sneakers and prepare to curl into those sheets ... but what’s that lying on your bed? A black and white card, bearing a horrible photo of yours, reading “K”. Yes, all this furore to find a horrifying permit card of yet another entry test preparation academy resting peacefully on your sanctuary. 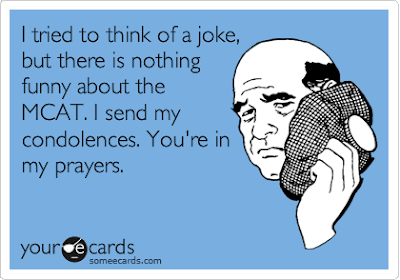 Sadly, your dad did go through all those MCAT preparation pamphlets, checked out the various places and got you enrolled in an abyss for the entire summer behind your back. You try and ignore the ugly photo on the card and go through the rest of the details. All right now, classes 4 to 10. Whaaaaaaatt!!!!! The first introductory class starting ... the same exact evening!!! No partying-like-an-animal-in-the-evening anymore; finding a register and heading off to classes instead. 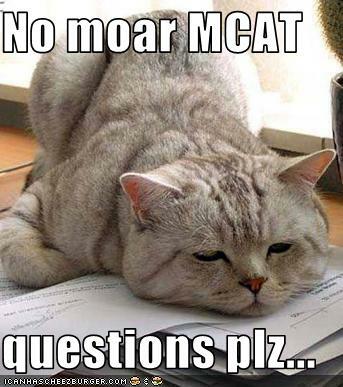 This was the story of my life and of a million others who took the stressful MCAT exam last year. Summer ‘11, thus, wasn’t much fun. With seniors and teachers and parents, all pointing me in different directions as to how to prepare for the test, I had no idea about what to do, where to start, which books to refer to. An so I thought about writing about my experience and I hope it would, in some way, help all of you out there, preparing for the test this summer. These gates shall open for you one day. First of all, DON’T FREAK OUT. Entry tests aren’t as hard as they are made out to be. I mean, it is MCQs right, how hard can it be? You’d pass even if you marked them all “B”. Jokes apart, I tell you, all the tension? Totally not worth it. The test itself is easy. You have my word for it. Don’t get confused by the baffling question papers the academies make you solve. MCAT and the new 40, 50, 10 formula was a complete blessing for us, Federal Board ones. 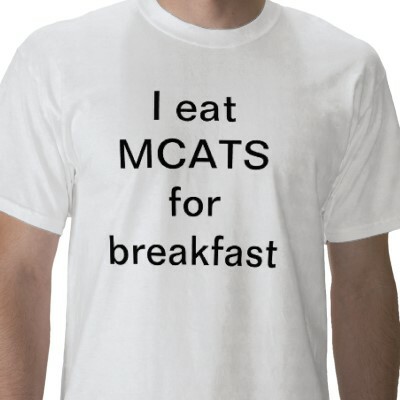 Preparation for MCAT for some is not something you just randomly do; it’s a whole lifestyle. So be prepared to give up an entire summer for the sake of your academic career. Get a printout of the syllabus and details given at the official website; www.uhs.edu.pk. Then make a schedule. One chapter from the three subjects, Chemistry, Biology and Physics that is, each day and then learning about 10 words each from the vocabulary section. You can either do chapters or make a schedule that involves the topics given at the University of Health Sciences website. 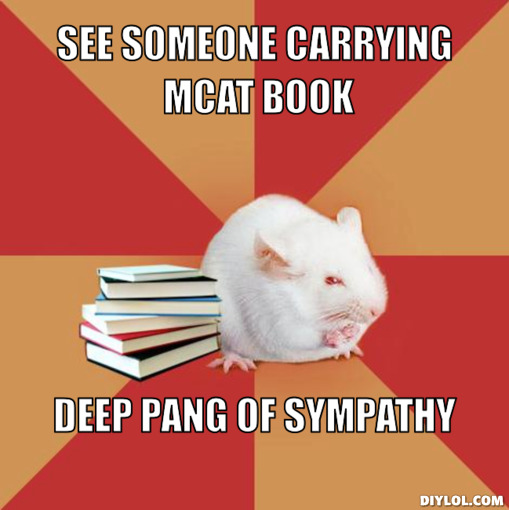 Go and ask anybody who has taken the MCAT about which books to refer to and they will all tell you to “stick to your textbooks”. And they are absolutely right! Half of the MCQs are just lines out of the text or a short numerical or a SAQ-moulded-into-MCQ from the exercise. So, your first priority should be the FSc. text books. I got bored of staring down at the same old books after already obsessing over them for the last two years, so I went ahead and bought MCQs books. People might say they just did the text books and that guides are a waste, but I shall enumerate the ones that helped me nonetheless. NOTE: A-levels waley ought to buy FSc wali books. Period. Buying MCAT past papers and books with previous exams is a major help. Use these papers to practice. There are patterns. Identify them. Chemistry: “Ilmi Objective Guide”. I went through the book five or six times and then marked the MCQs that were out of the syllabus and then went through the marked ones the night before the test. It helped a lot. Another guide “Current Chemistry Objective Series” is also recommendable; it has a little bit of mistakes, but it has direct lines from the book and it feels like you have gone through the entire text once you solve the MCQs. Other than these two, I thoroughly went through OCR Chemistry (A-levels oriented), it is amazing at helping one build up concepts and you will find that most of the difficult MCQs of the crash tests of certain academies are also from this book. Physics: Again “Current Physics Objective Series”. Biology: You can go for any MCQ book for practice, but nothing is ever out of the syllabus. English : MCAT English is such a piece of cake. The only part you can prepare for is vocabulary. Get hold of the KIPS MCAT English book, they have a whole big portion for the synonyms of the words on the list. Do ten words each day, make funny pictures along with words to help you remember. All-four subject books: This would include the Dogar Series and MCAT Seventh Edition. Depends on whether you can take enough responsibility and prepare on your own. I feel academies overburden the students and make them solve way more difficult questions than actually come in the exam. This could put you off the track and lead to depression e.g. most of the physics questions in the prep exams of the academy I attended were from “Pacific Physics by Pao Long Yee” and they are pretty baffling, I tell you. Itna mushkil paper NAHI ataa. My experience was that academies do help, as far as practising is concerned and all the extra information does help a lot, but basically for NUST/AMC Entry Test, not this one. Taking the crash tests at the end is advisable, though. The UHS waley have made things easy; they even tell you how many MCQs are going to come out of a single topic so you know which topic to focus more on and give more time to. Don’t waste your time over the names of scientists and dates, they seldom come. Go through the numericals - you should have the Periodic Table on your tips, build up concepts and practice Math without calculator. No, I’m not talking about goats. My biggest sacrifice was being stuck in my room with the manhus formulae of organic chemistry on my 18th birthday. With one day to go before the NUST Medical entrance test and the entire syllabus of chemistry and physics completely untouched, I had no other option than to abandon my coming-of-age plans and stay in for the day. The second biggest sacrifice would be not going swimming the entire summer of 2011, because the pool timings coincided with the timings of my prep classes. Oh, how I missed the pool! But, staying away saved me from both a terrible tan and a bad score. An infinite list of sacrifices could be summed up here but what I mean to say is that quitting Facebook, reducing the time you spend hanging out with friends, quitting evening soccer for a while and all... it’s all worth it. What Merit No. 1 has to say? Humera Javed, the Merit No. 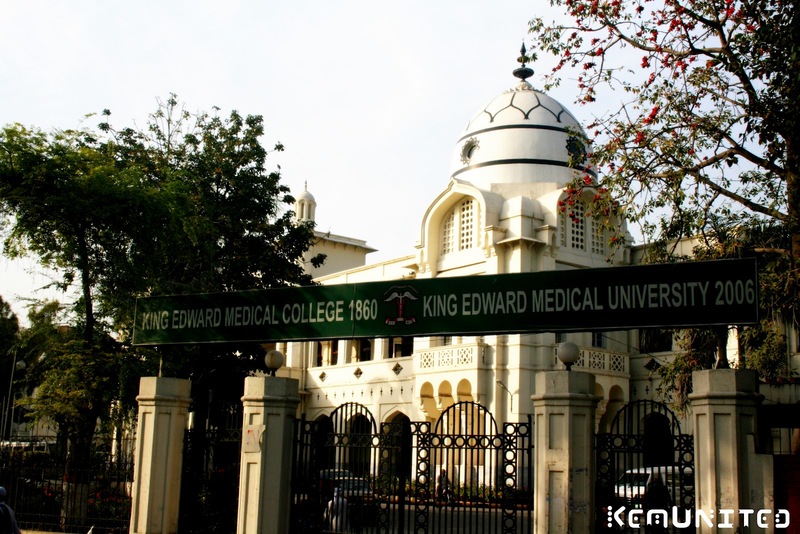 1 for the year 2011, with an aggregate of 95.0489 percent, made the second position of UHS MCAT last year, scoring 1055 out of the total 1100. Practice might not make you perfect but it will help you get the answers you thought up to be delivered onto the answer sheet. From the time I moved my pencil from the question paper to the answer sheet where you have to fill in the right hole, I would keep muttering the question no. and the answer e.g. “48 B, 48 B, 48 B”. Might sound insane but it helps, especially if you are simply following a pattern and moving down. You might have solved 48 but could, by mistake, fill in B in the space for 49. Friends around me tell me that they got half of the questions wrong, although they knew the answers because of the simple fact that they filled in the wrong holes. In this regard, academies do help a lot. They make you perfectionists - at filling holes, that is. P.S You have to learn how to fill up the O-shaped cavity to perfection. Starting from the middle and moving your pencil clockwise around to attain perfect matte black. After solving so many crash tests, I feel like I have become a connoisseur. Yes, the same old hackneyed advice, a good night’s sleep and a proper breakfast. You should be in bed by 12p.m. Set the alarm for a good two or three hours before the test because trust me, the traffic is really bad that day, bazillions of people with ball points and UHS dog tags headed in the same direction... apocalypse, I tell you. You shall be feeling queasy but you must have something to eat. Something light would do good: Weetabix perhaps, or a smoothie. I don’t know how people find the time but surprisingly you will find that everybody is really decked out for the test. I saw numerous girls in high, high wedges and chiffon gowns. Test na hogya , Oscars hogaye. Wear whatever you feel comfortable in, good old sneakers, the lucky socks and a classy watch does the work. If being all dressed up boosts your confidence level, do that. Cramming at the last minute does work for some, but mostly it’s a failure. So no need to carry your books along. (This advice is coming from the person who revised whole of the two biology books on the way to the exam centre). Most important: Ask your driver uncle to pray for you, it helps. All around me I heard girls discussing their FSc. Marks... 1023, 1019, 1002. But I did not care. I kept my poor-federal-board 992 marks wala head held up high. They will talk about how they have revised the entire syllabus 25 times and they shall discuss “the third last line of the fifth paragraph on page 205” but you, you stare on ahead and ignore them. The four people sitting in your closest vicinity shall all be having completely different arrangement of the same MCQs. What is 15 in yours shall be 32 in the other guy’s paper. The girls in my neighbouring row did find a way out of that, too! By reading out the entire questions to each other, but seriously who has the time?!? So accept it. It’s just you and the paper. It’s all about the groove. If you had seen me solving my MCAT, you would have grabbed me by the arm and taken me to the nearest asylum. That’s how crazy I looked, muttering and mumbling and fussing about with the pencil. You see, once you get the question paper, you’ve got to accept that for the next two hours or so, it’s just YOU AND THE PAPER. You got to be mentally alert and yet completely absorbed. You might not know a single thing about a question, but you can still get it right. After all, its MCQs! The answer’s already there, you’ve just got to find it out and you need not be any Houdini for that. The trick to finding the answer of a doubtful MCQ is to cross each option out one by one and you’ll eventually find one that fits. Sounds banal but people don’t normally do that that and that’s why they lose marks. You should do that even in MCQs you are 100 percent sure about. Answer the easy ones first. While doing this, your mind inevitably multi-tasks and thinks about the harder questions in the background. Everybody advises that one should solve biology first as they are the easiest. Think what the worst outcome of your MCAT test could be. Failure, right? Can you handle failure? Of course, you can. Now smile and get on with solving the exam. Walk out with a huge smile and pose for all the cameras. Work hard and pray harder and your efforts will bear fruit. And God knows how I made the 20th position of MCAT’11. Glory awaits you at the end of this journey. THIS is honestly so motivating! 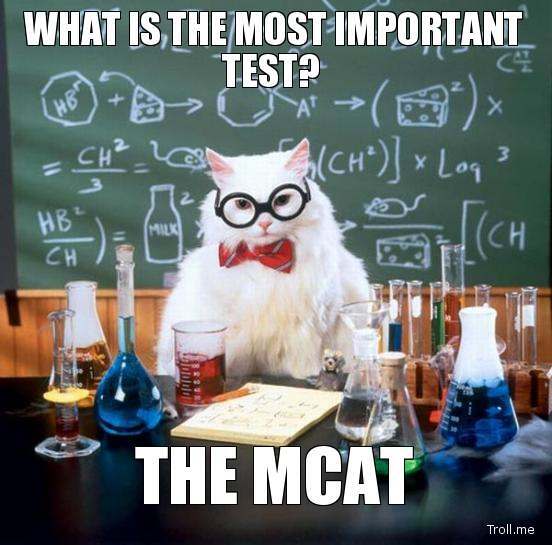 Now i've started to think that i could actually do it..
Good article, but let me tell you the Pakistani version of the mcat is a piece of cake, try going over the american mcat to help boost your confidence of what an mcat really is . . .
really admire u. I was confused but nt nw. ap ne kn se institute se tyari ki thi???? ?/ or bst kn sa????????????? McFearless. You missed few things about English I think. English is about prepositions and vocabulary. Preposition is advised to be prepared from any FOREIGN BOOK of English. Plus, you had to study all the books apart from textbook because it was for the first time when UHS assigned syllabus. Students were confused. I adopted an method of photocopying. I photocopied two pages on one A4 and read them every spare minute in bus, bus-stops, walking to market etc. Very good and happy article.